As far as injuries are concerned, broken bones are the best. Cast it, heal it, rehab it, play on it, is the basic recipe for a clean break. In 6-8 weeks most athletes are back on the field of play working on rebuilding their game. Where things get a little more complicated is when you have nagging chronic conditions, like tennis elbow, jumpers knee, plantar fasciitis, acromioclavicular joint arthritis, and a list of other unrepairable ailments. These circumstances typically have no definitive cure, and require a systematic approach for maintaining their symptoms. 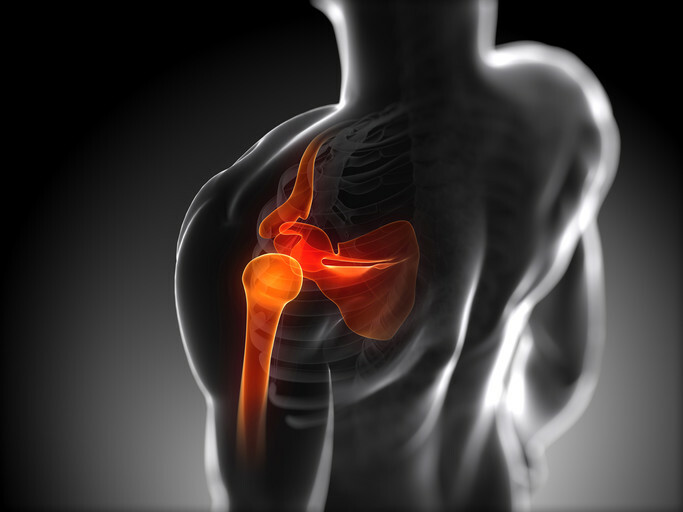 I have been suffering from shoulder pain in both shoulders for years. As a practicing Brazillian Jiu Jitsu player I am constantly put in positions that expose my shoulder to pressures that the joint simply can’t handle. The result is raging amounts of inflammation followed by tortuous pain that would make even the toughest grappler tap out. 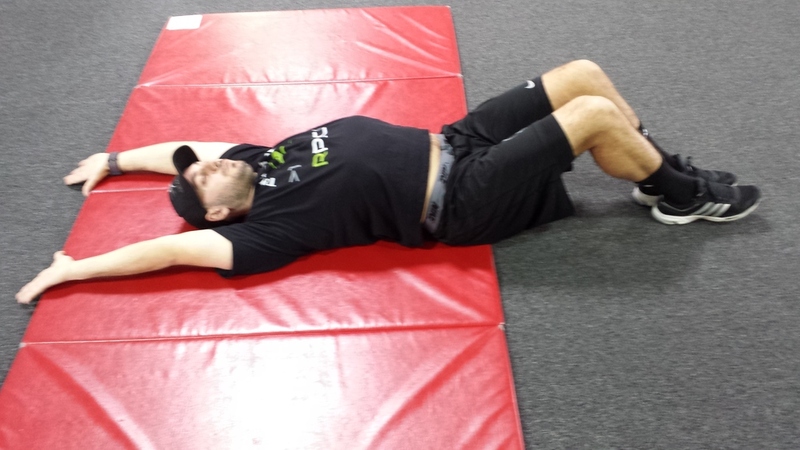 My desire to keep developing my jiu jitsu game has forced me to dedicate a wealth of time determining the most effective methods for maintaining and coping with chronic shoulder pain. Here is my strategy for Pre and Post Training, Shoulder Maintenance. Glutamine is King. This non-essential amino acid can become crucial when the body is continually exposed to excessive amounts of stress i.e; hard training. Regular supplementation of Glutamine will help your body obtain the necessary amino acids to help rebuild tissue and recover from intense bouts of exercise. Try taking about 2g, 40-60 minutes before exercise. Anti-inflammatories for inflammation. Inflammation is the root of all illness. Get a head start on soothing flared joints by taking 2 naproxen 1 hour before training. Use this method only before abnormally hard training sessions. It is best to consult your doctor before doing this to ensure that your body will have no adverse affects to this over the counter medication. Get moving with joint mobility. Whatever your ailment might be, developing good warm-up techniques for preparing your joints is key. 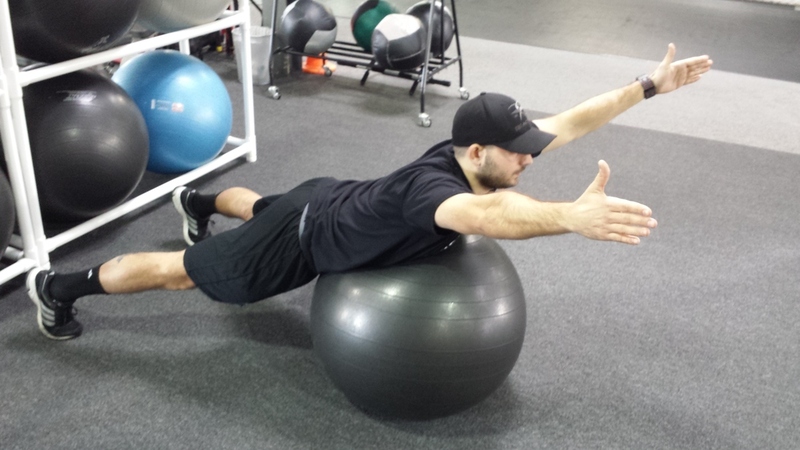 Focus on movements that lengthen and mobilize tight muscle groups. 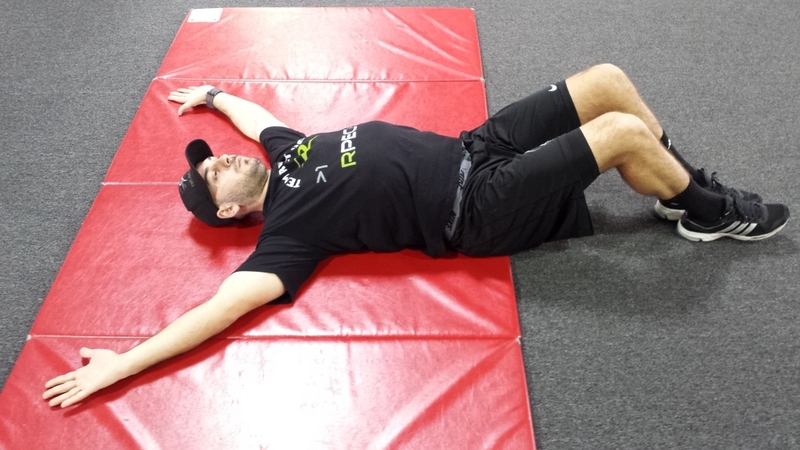 For chronic shoulder joint pain, do some Supine Shoulder Presses (Exhibit A). 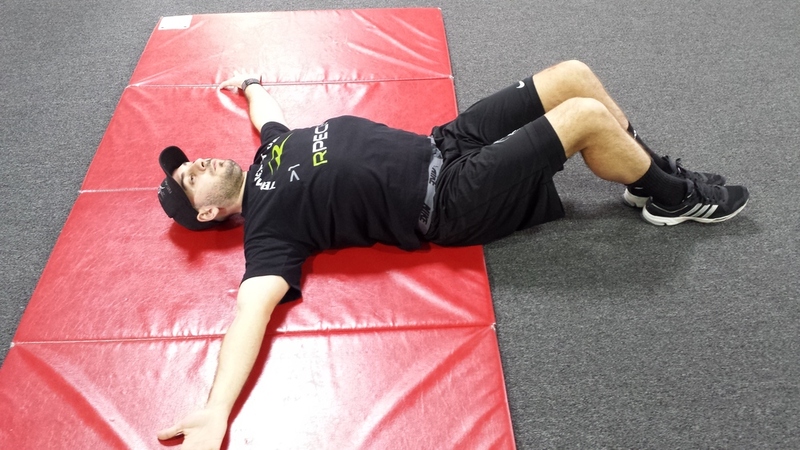 Lie on your back and begin to press your arms up over your head while keeping your hands and elbows touching the floor at all times. 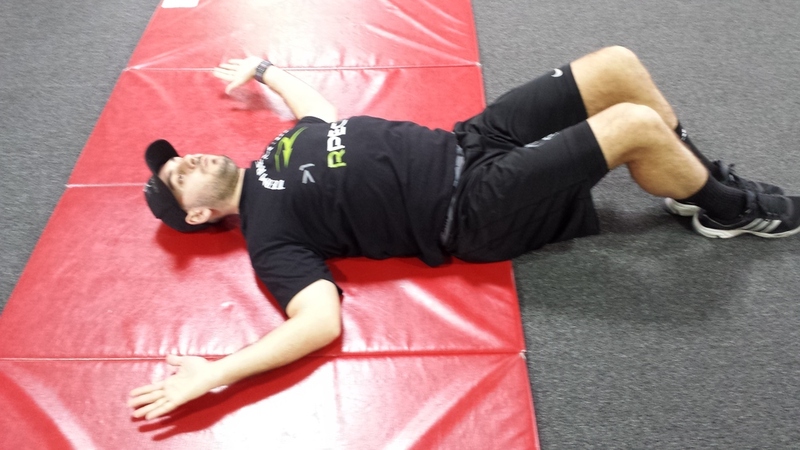 Follow this with some snow angels on a mat to loosen up stiff shoulders (Exhibit B). Keep moving for range of motion. Immediately after training, the muscles surrounding your inflamed joints are going to begin to shorten and ache. Repeat the same mobility movements (Exhibit A and B) you did prior to training, but this time add movements that activate and strengthen lengthened muscles. I like to do a series of YWA’s. These movements focus on strengthening the posterior shoulder complex while improving shoulder mobility, and thoracic spine extension. Do 15-20 repetitions of each movement. Ice it or lose it. Keep disposable ice packs in your gym bag, and begin icing your shoulder immediately after training. Icing for 15-20 minutes is ideal. This will help to ease the pain, and reduce inflammation. The King has not left the building. Take another 2g of Glutamine immediately after training, and then another 2g of Glutamine before bed. This will continue to help with the recovery process. Chronic Shoulder pain is no laughing matter. Follow these pre/post training maintenance techniques to get a grip on loose shoulder joints. Make ice your best friend. Try eating more anti-inflammatory foods (anything green). Epsom salt is all it’s cracked up to be.